Funny Moustache. 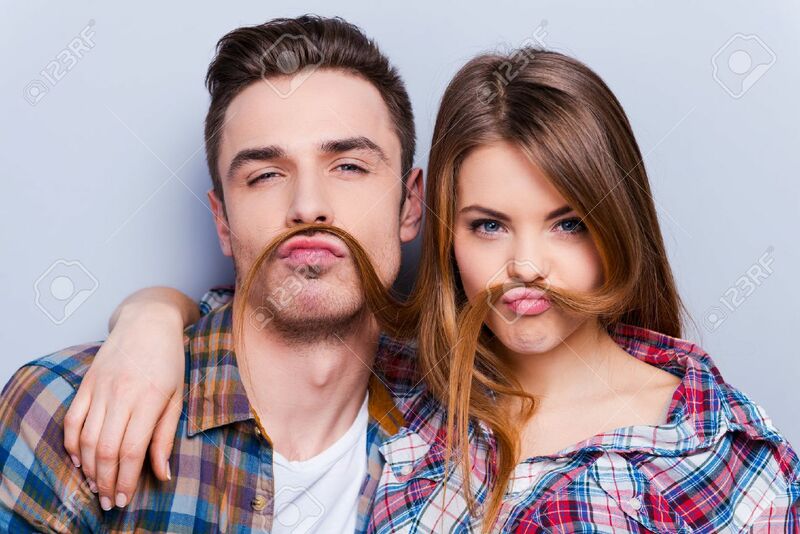 Beautiful Young Loving Couple Making Fake Moustache From Hair While Standing Against Grey Background Royalty Free Fotografie A Reklamní Fotografie. Image 36612711.